the local list: Wanna have some fun this weekend? Wanna have some fun this weekend? 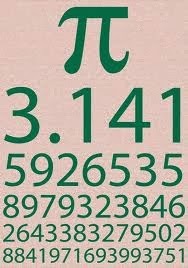 Well who would have thought that Pi day would land on a Friday. No seriously, it's 3-14 and pizza joints are celebrating. Blaze (at UTC) is selling their pizzas all day for just $3.14 and Pie-Not (in Costa Mesa) will be selling meat pies from 7-8PM. If you haven't been to Blaze I highly recommend it. It's a make your own thin crust pizza that cooks in about 3-4 minutes. It's fun. Haven't checked out Pie-Not but I am a little bummed they cheaped out on this fun day! I mean only one hour?! BOooo. Yost Theater is celebrating the Rock Star Beer Festival this Saturday with live music from Breach The Summit, Ceasefire, DJ Topsider and more than 35 craft beers to taste. It's from 6-10PM and costs $50. Sounds steep BUT it includes unlimited beer AND a rock show. Labels: Laguna Hills, Lunch Time, The Weekend Update, Tustin, What's for Dinner?